Twelve inches by twelve inches by twelve inches, the cubic foot is a relatively tiny unit of measure compared to the whole world. With every step, we disturb and move through cubic foot after cubic foot. But behold the cubic foot in nature—from coral reefs to cloud forests to tidal pools—even in that finite space you can see the multitude of creatures that make up a vibrant ecosystem. 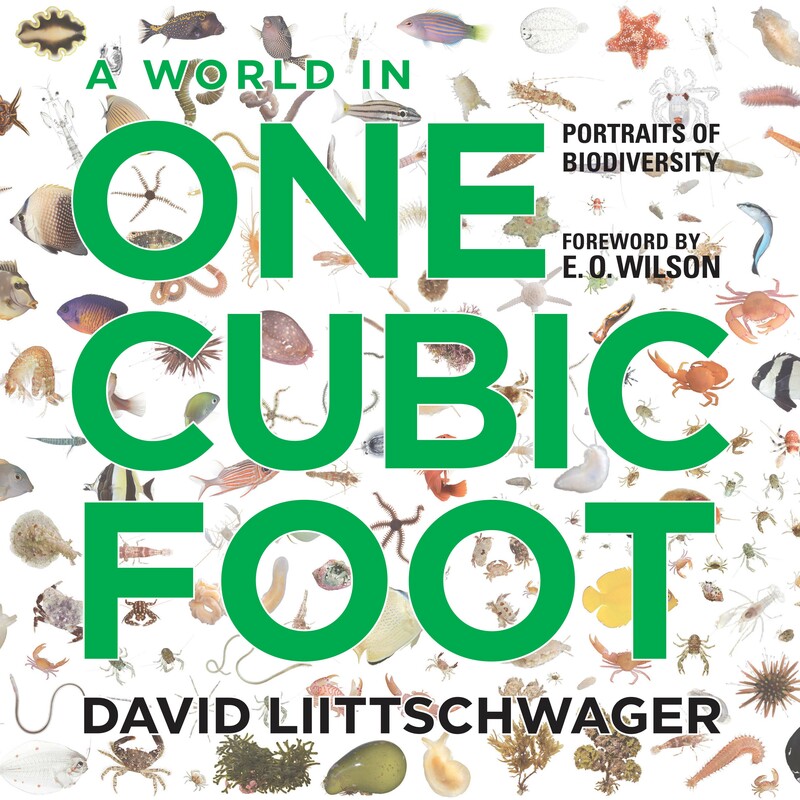 For A World in One Cubic Foot, esteemed nature photographer David Liittschwager took a bright green metal cube—measuring precisely one cubic foot—and set it in various ecosystems around the world, from Costa Rica to Central Park. Working with local scientists, he measured what moved through that small space in a period of twenty-four hours. He then photographed the cube’s setting and the plant, animal, and insect life inside it—anything visible to the naked eye. The result is a stunning portrait of the amazing diversity that can be found in ecosystems around the globe. Many organisms captured in Liittschwager’s photographs have rarely, if ever, been presented in their full splendor to the general reader, and the singular beauty of these images evocatively conveys the richness of life around us and the essential need for its conservation. The breathtaking images are accompanied by equally engaging essays that speak to both the landscapes and the worlds contained within them, from distinguished contributors such as Elizabeth Kolbert and Alan Huffman, in addition to an introduction by E. O. Wilson. After encountering this book, you will never look at the tiniest sliver of your own backyard or neighborhood park the same way; instead, you will be stunned by the unexpected variety of species found in an area so small. A World in One Cubic Foot puts the world accessibly in our hands and allows us to behold the magic of an ecosystem in miniature. Liittschwager’s awe-inspiring photographs take us to places both familiar and exotic and instill new awareness of the life that abounds all around. "Here is a world of small wonders—an entire universe of biodiversity captured in the confines of a cubic foot. David Liittschwager is a magician of the lens who works at the intersection of art and science." "A World in One Cubic Foot is confectionery for the eyes, each species a tasty morsel."